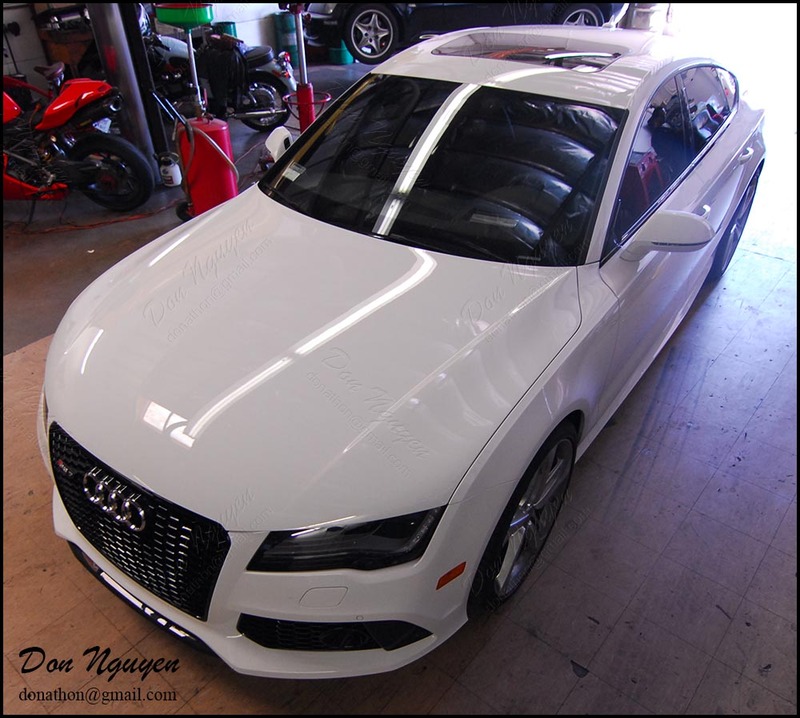 I've worked on several cars for the owner of this white Audi RS7 sedan in the past. 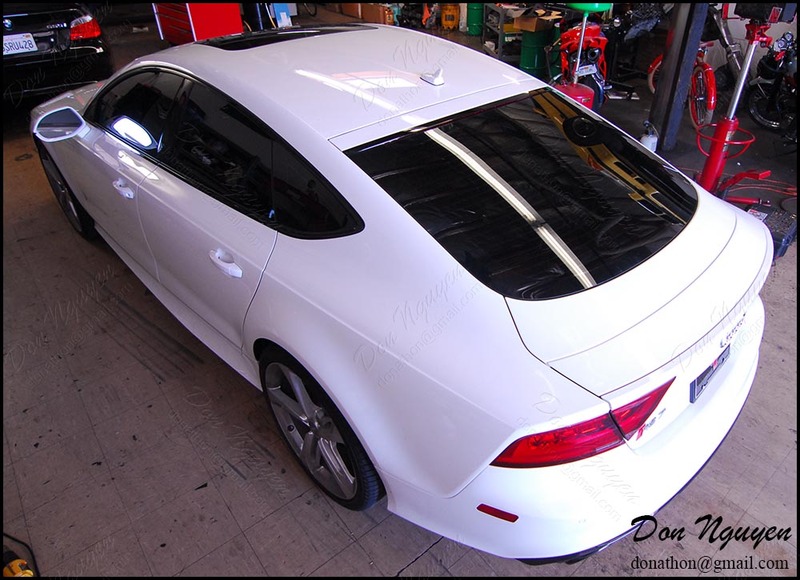 This time he came by to have me vinyl wrap the roof of his RS7 with my gloss black vinyl material to give it the panoramic look. In addition to wrapping the main section/portion of the roof, I also wrapped the smaller rear top hatch part that sits right behind the main section of the roof. 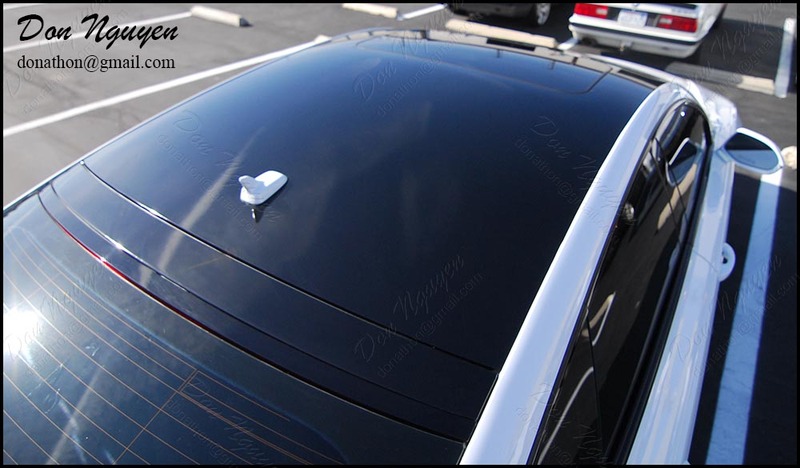 This gave it a smooth transition from the roof to the rear glass. 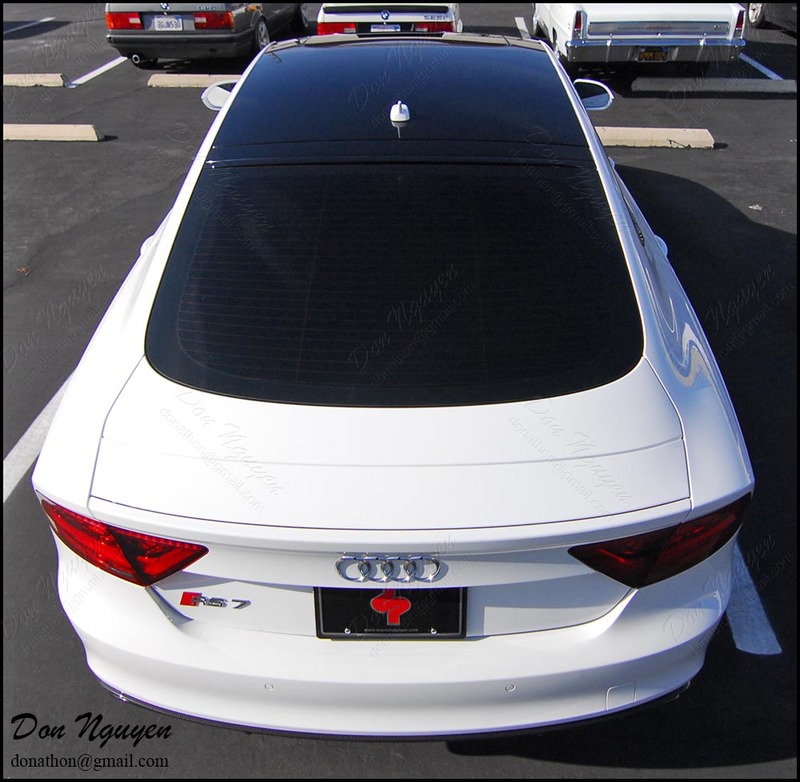 The owner of this car came to me in Anaheim Hills/Orange County to have the work done.